CBD Lollipops are a tasty treat with a potent amount of CBD. With 40 milligrams of CBD per lollipop and four delicious flavors to pick from, you'll have fun while getting an effective dosage of CBD. 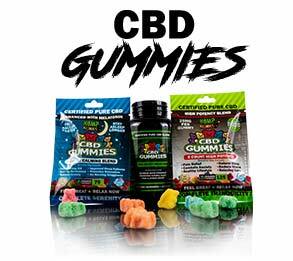 Featuring CBD derived from non-GMO Industrial Hemp, each chewy CBD gummy packed with pure organic CBD to encourage a host of wellness benefits. Get ready for maximum relaxation. The Hemp Bombs Max Chill Shot is the perfect choice for anyone who wants a tasty and convenient way to take CBD. 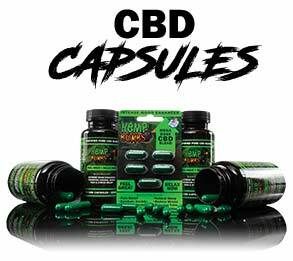 Each bottle contains 1 powerful serving of CBD. Designed to take with other supplements and vitamins, Hemp Bombs Capsules are available in 15mg and 25mg product concentrations and many different capsule counts and are some of our most popular CBD edibles. If you're looking for an answer to sleep problems, it's time to introduce yourself to CBD Syrup. Formulated with CBD derived from organic Hemp, our signature Relaxation Syrup has a light fruit punch flavor and is the perfect addition to any nighttime routine.